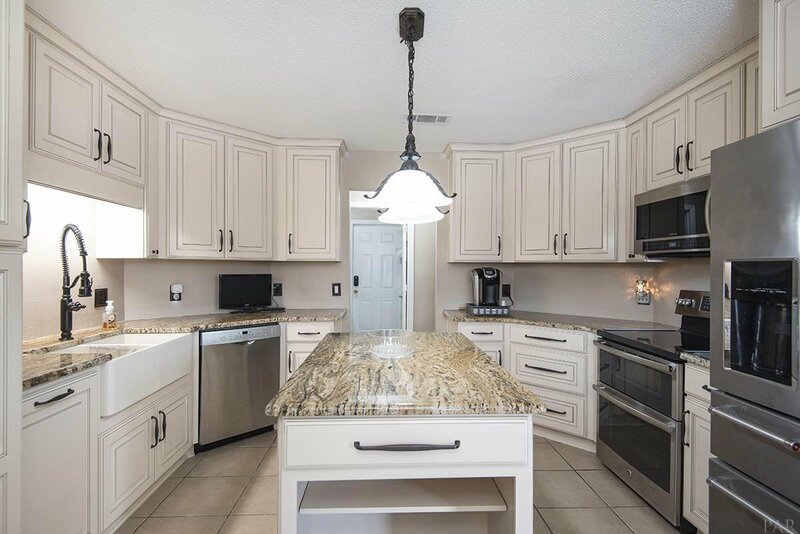 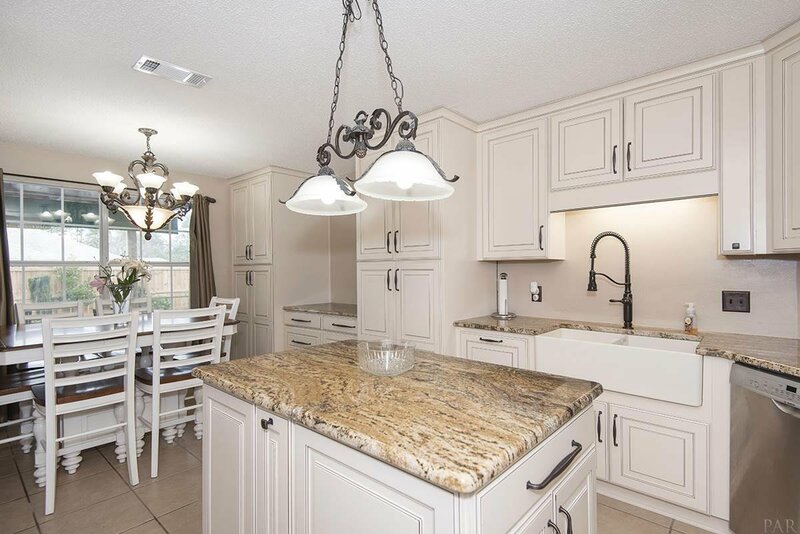 WONDERFUL POOL HOME WITH BRAND NEW KITCHEN OF YOUR DREAMS~ This home has all the things you want and MORE. 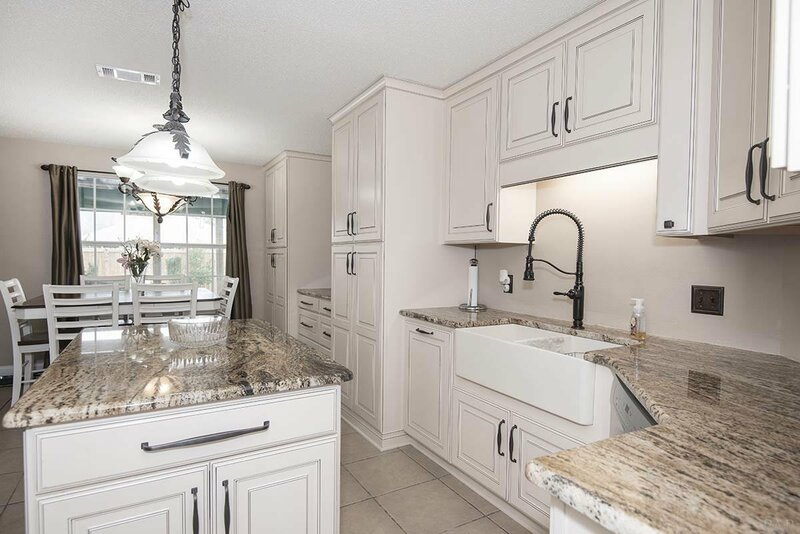 The new kitchen is absolutely stunning ~ Custom cream cabinetry with chocolate glaze, pull out drawers, polish bronze hardware and beautiful granite counters. 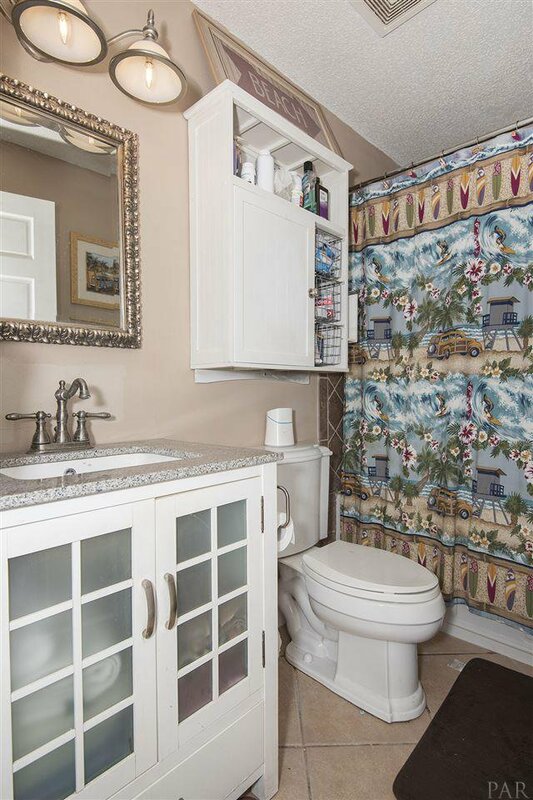 The deep farm sink will make you want to wash dishes. 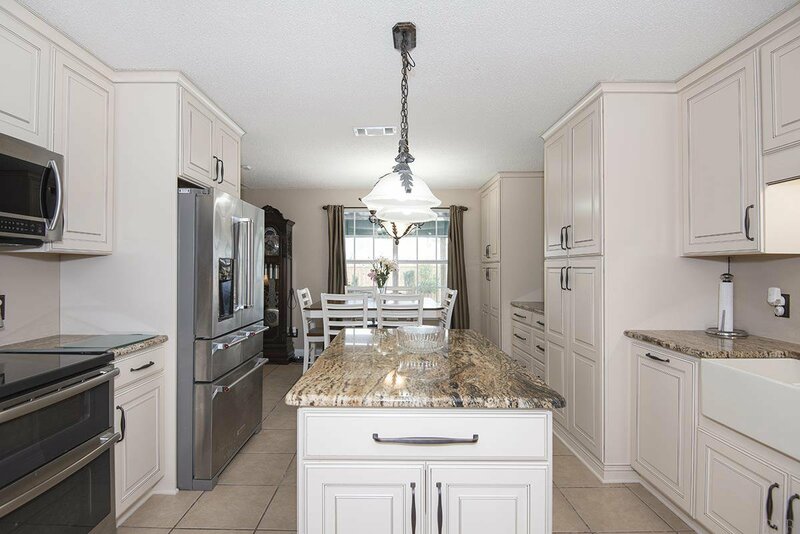 All appliances are stainless steel with double oven, side by side refrigerator and built in microwave. 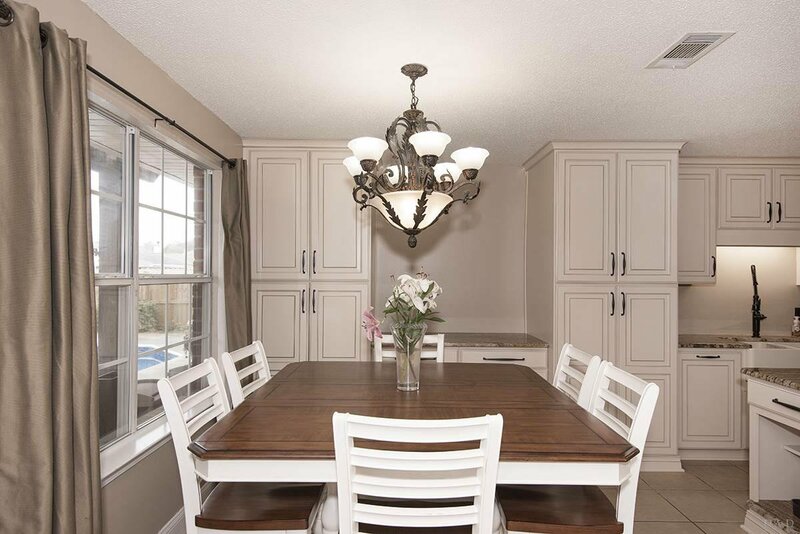 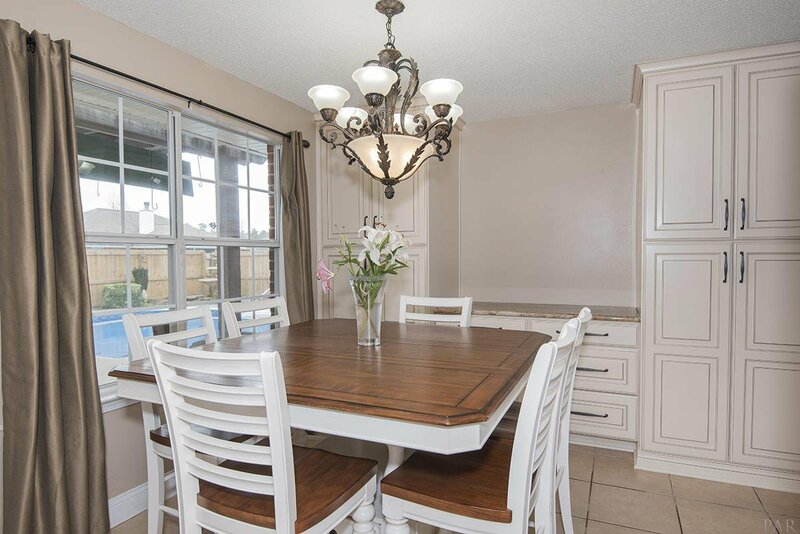 Center island offers additional storage and there is a large eating area for the family. 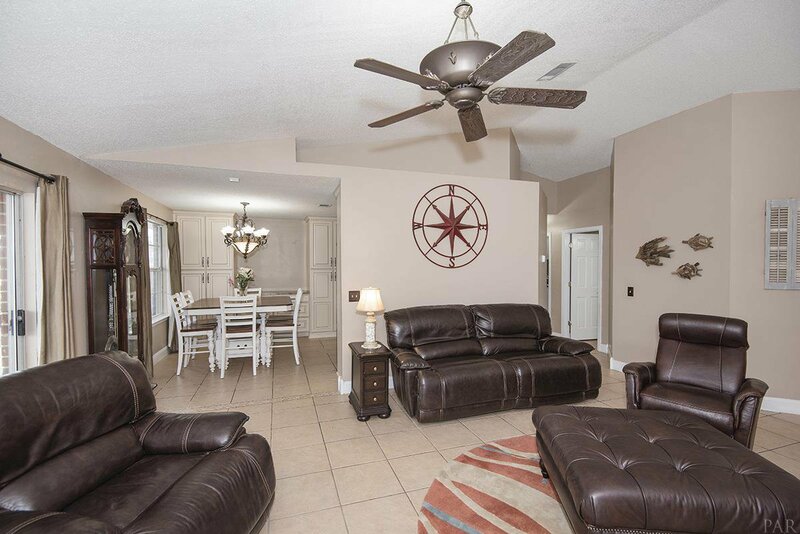 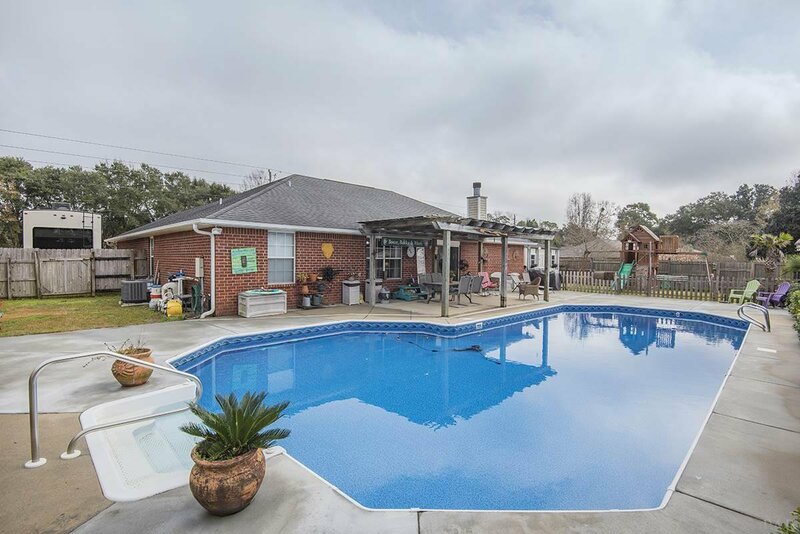 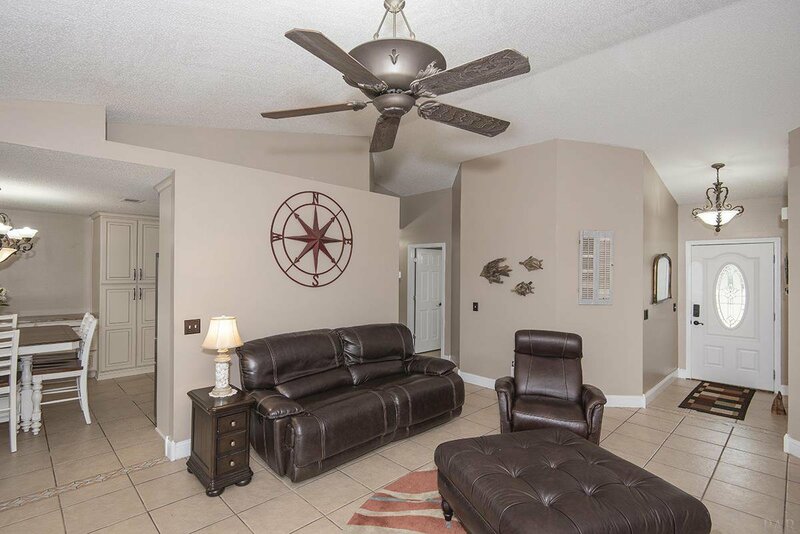 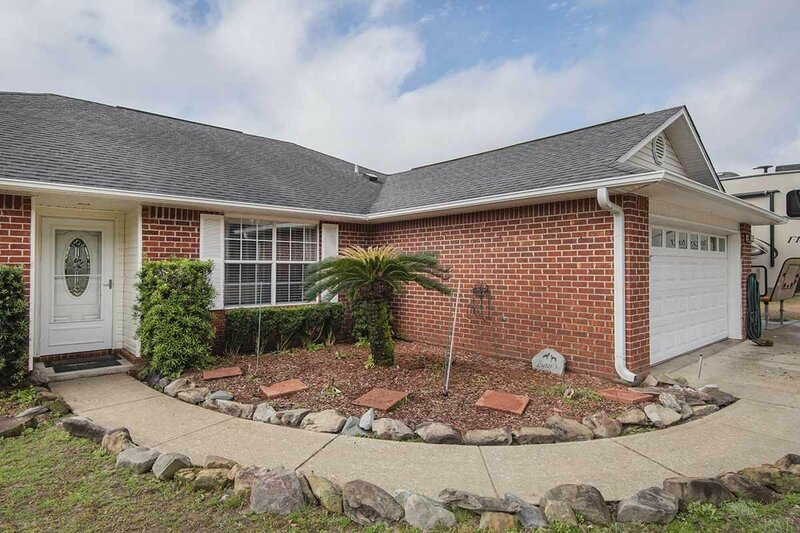 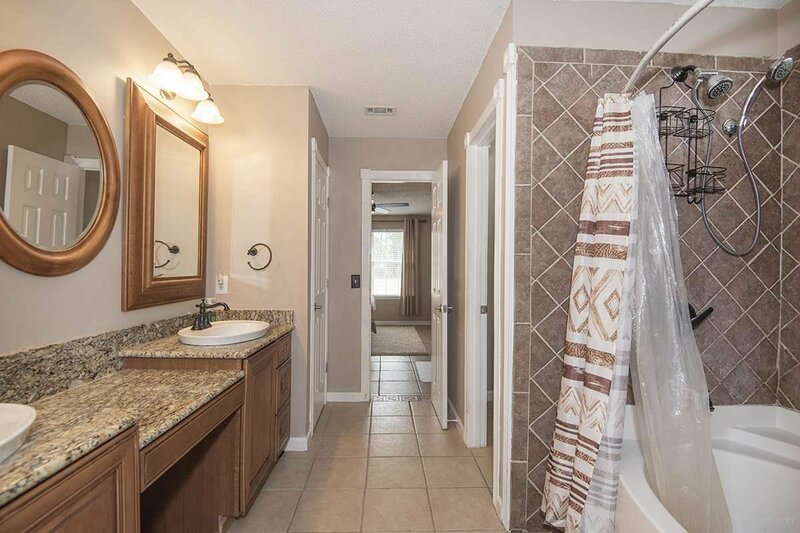 There are four bedrooms and the home has all tile throughout. 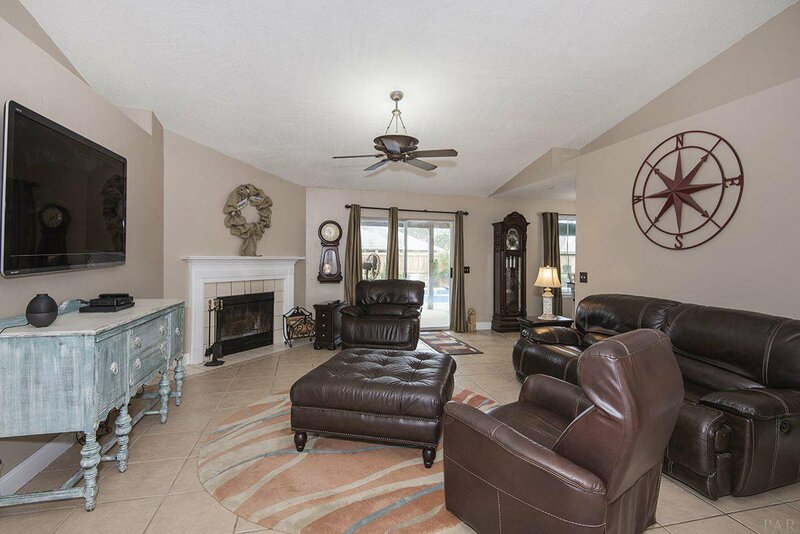 High ceilings in the great room with a large corner fireplace that is wood burning to warm you up on a chilly day. 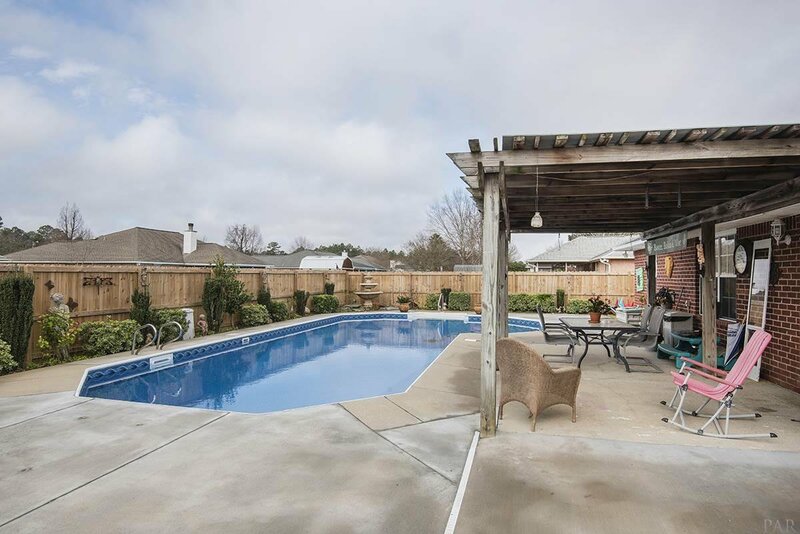 The back yard is an breath of fresh air with an amazing oasis created for you and yours. 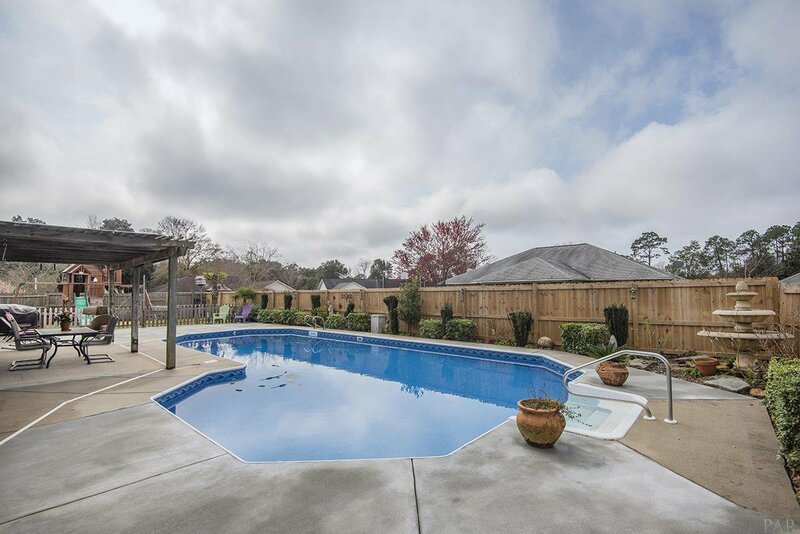 Very nice LARGE pool with a new liner in 5/18. 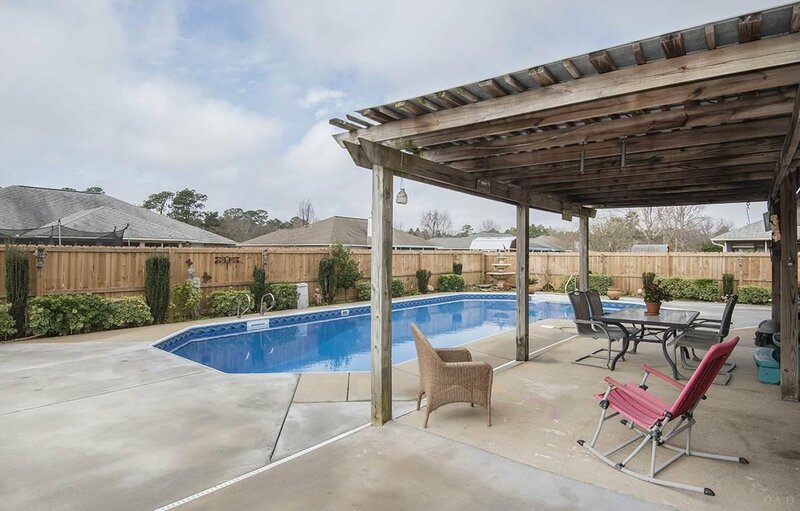 Plenty of decking area for sunning and poolside parties as well as a fenced off area for your kids and pets. 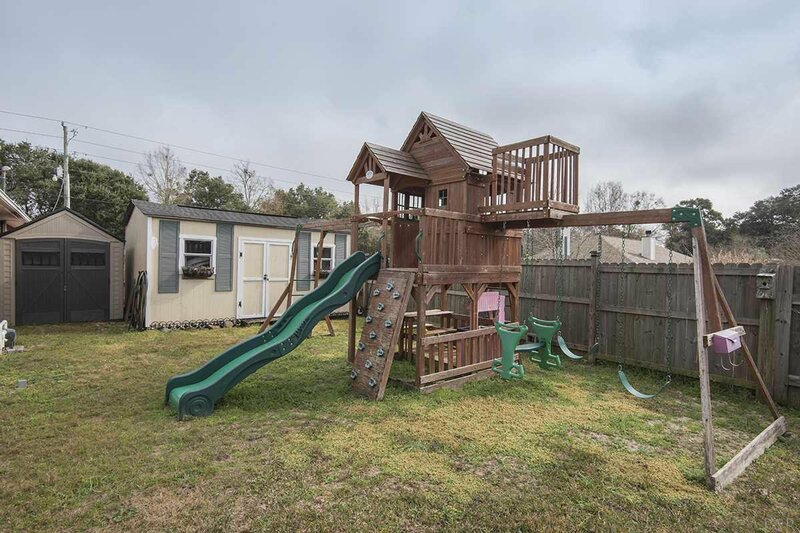 Seller has installed a ground water backwash system to remove any water that may tend to collect below the liner when it rains. 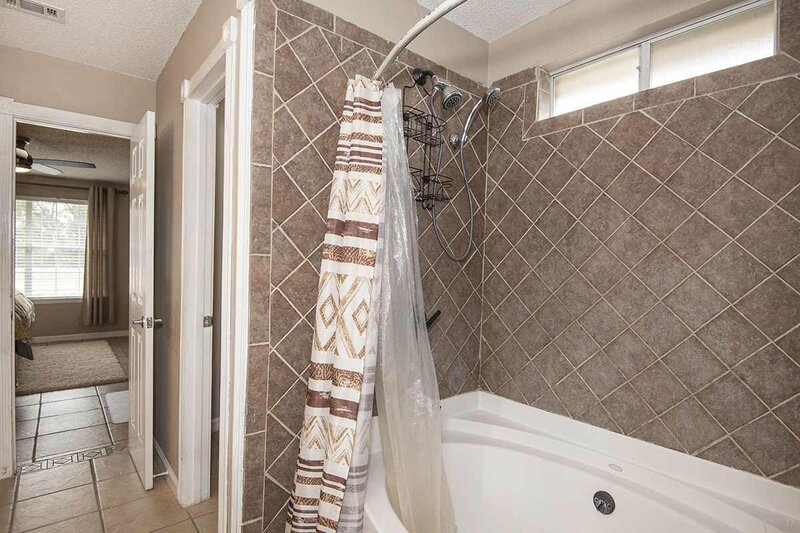 There is also a well that provides for the irrigation system. 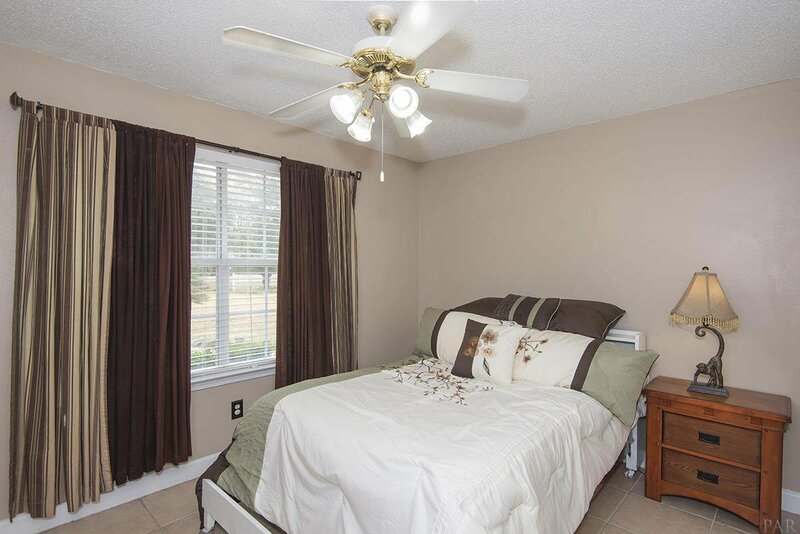 The HVAC system (indoor and outdoor units) was replaced in 8/18 and is very energy efficient. 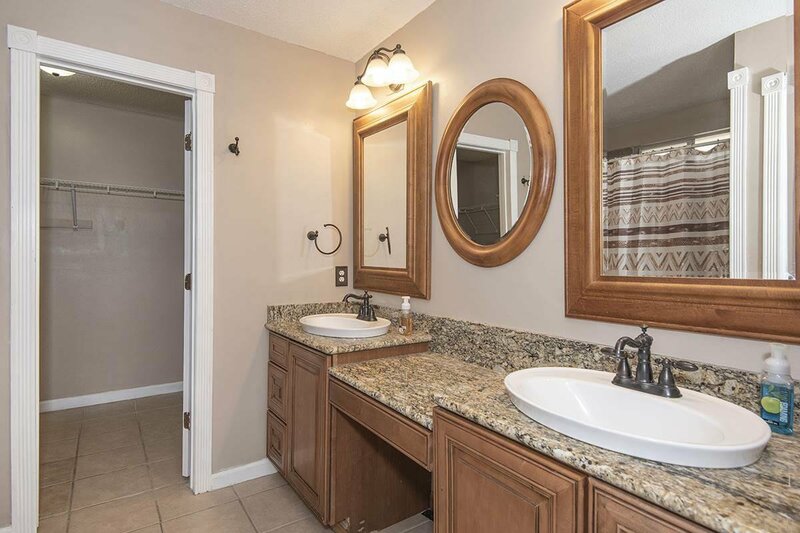 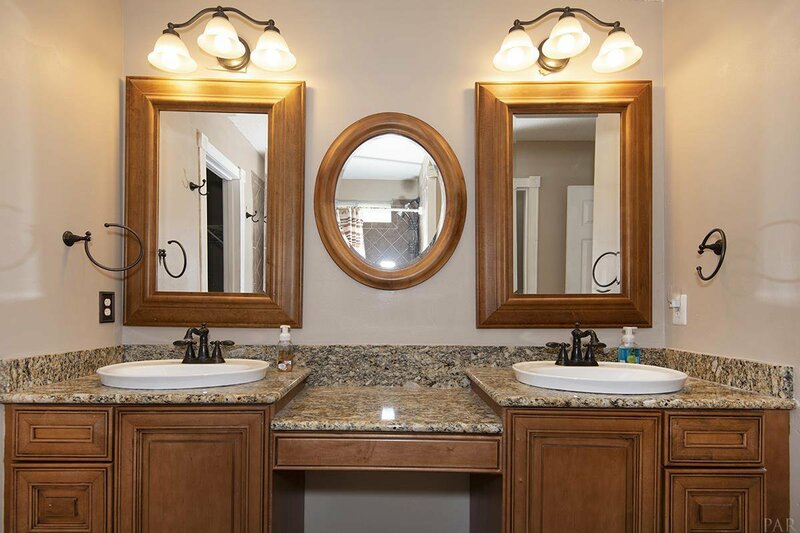 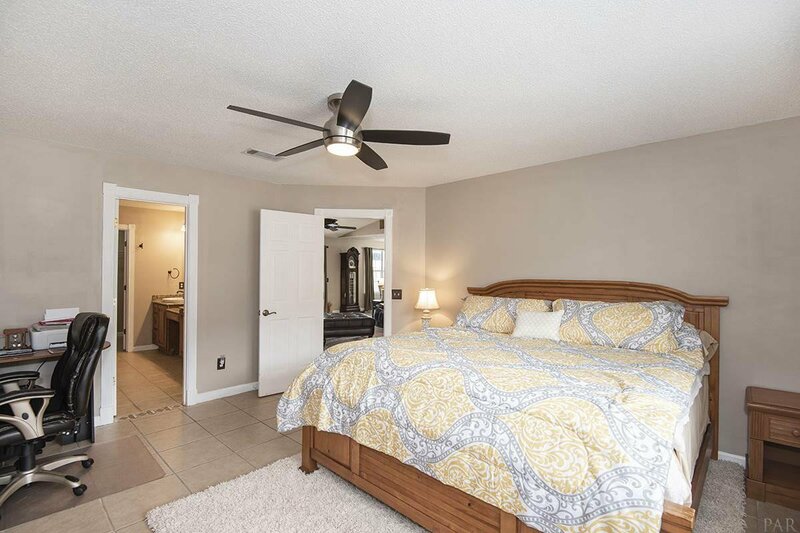 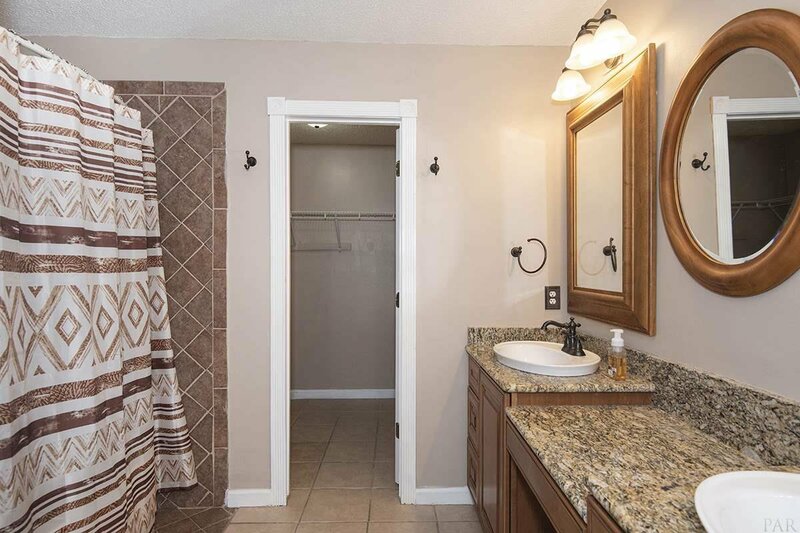 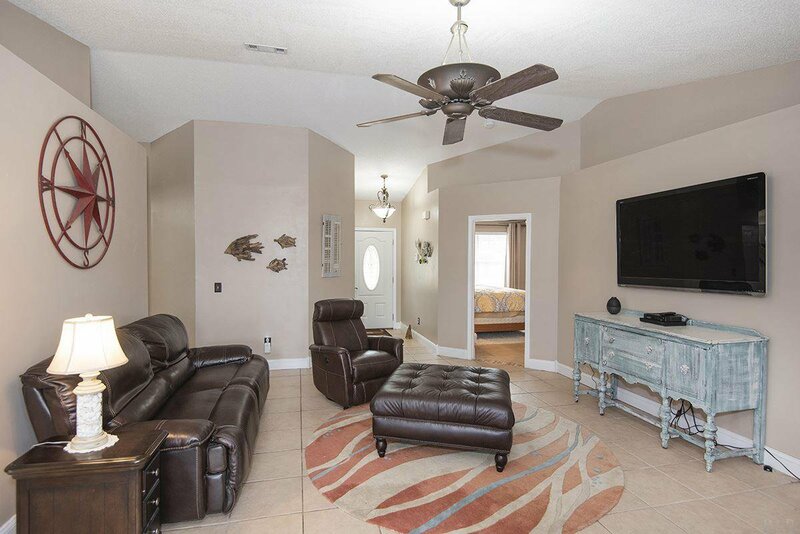 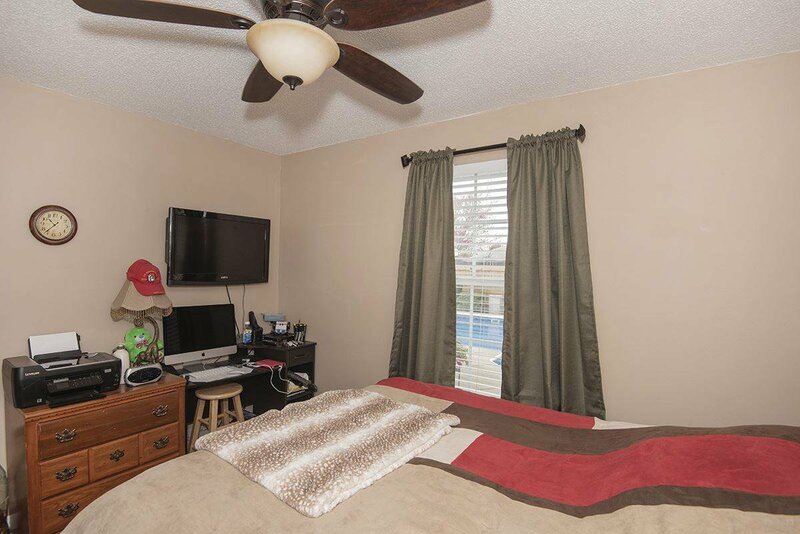 The master suite is quite spacious and has a large master bath that was updated as well with a large double vanity, granite counters and a nicely tiled shower/tub combo. 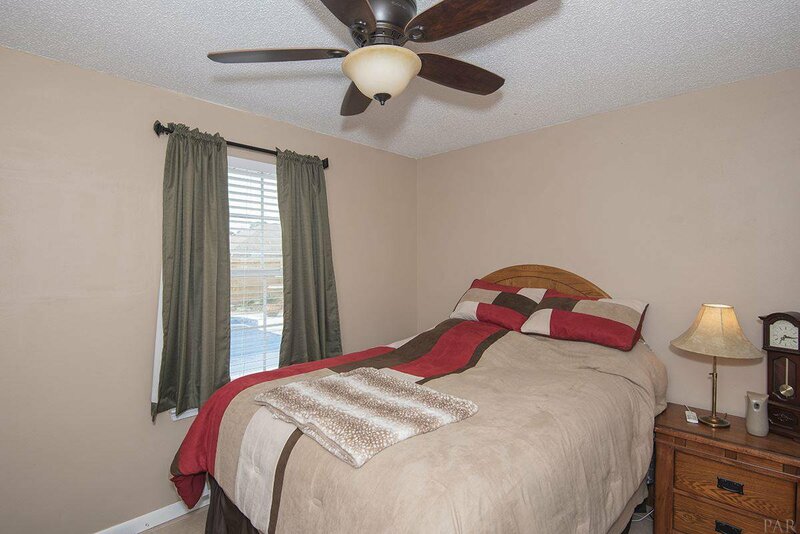 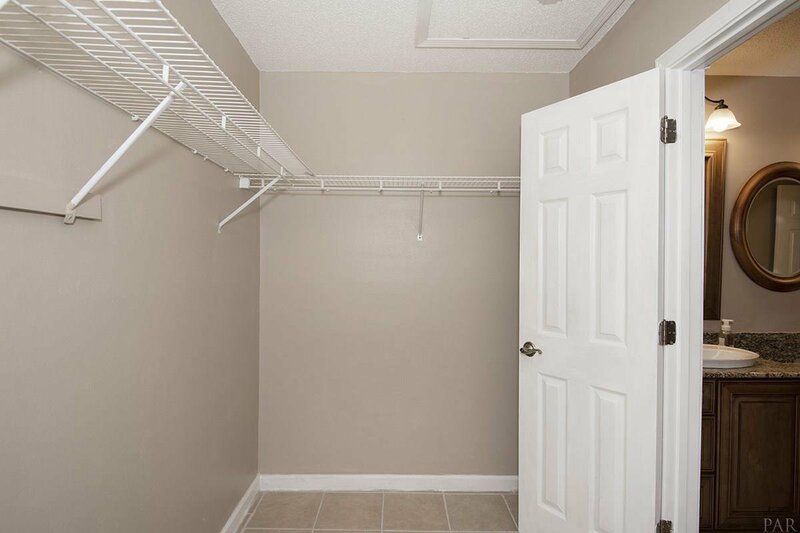 There is a large private water closet and a walk in closet that is HUGE! 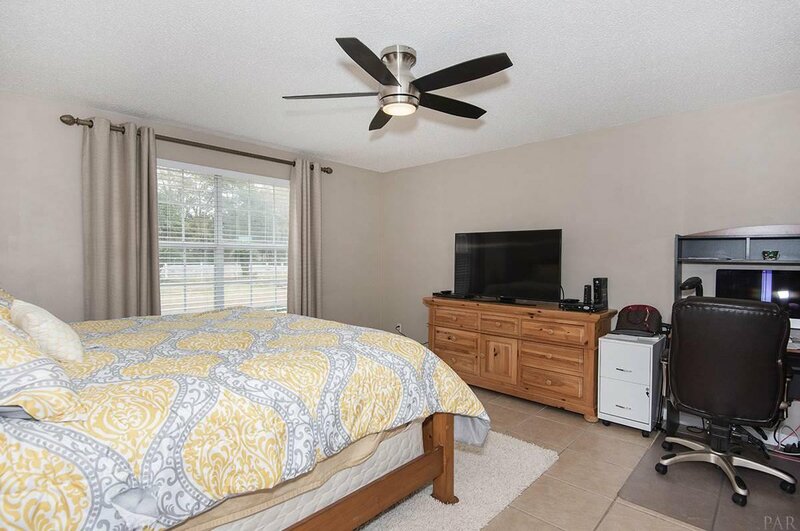 The owners have added extra parking pad for guests as well as a large RV parking pad on the side of the home ~ There is a 30 amp hookup as well as water. 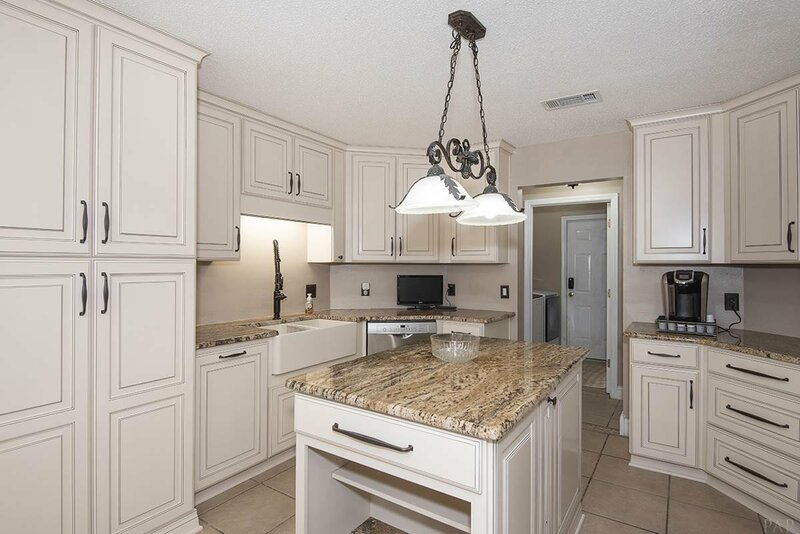 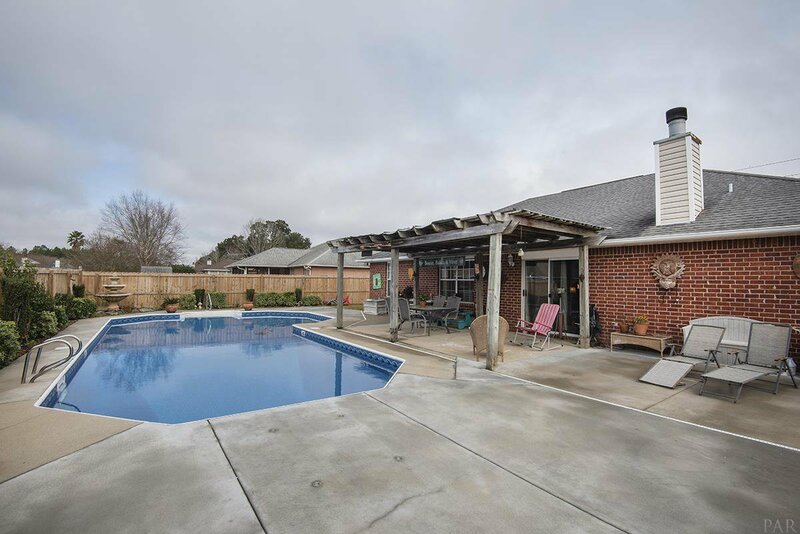 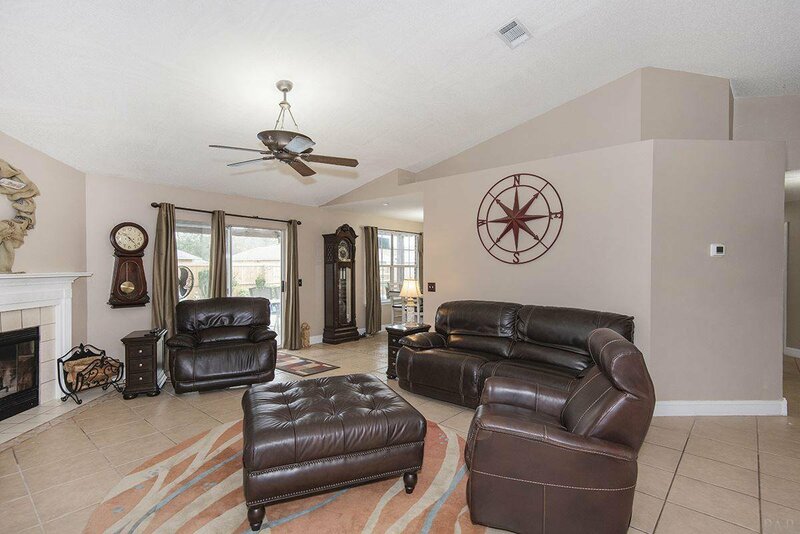 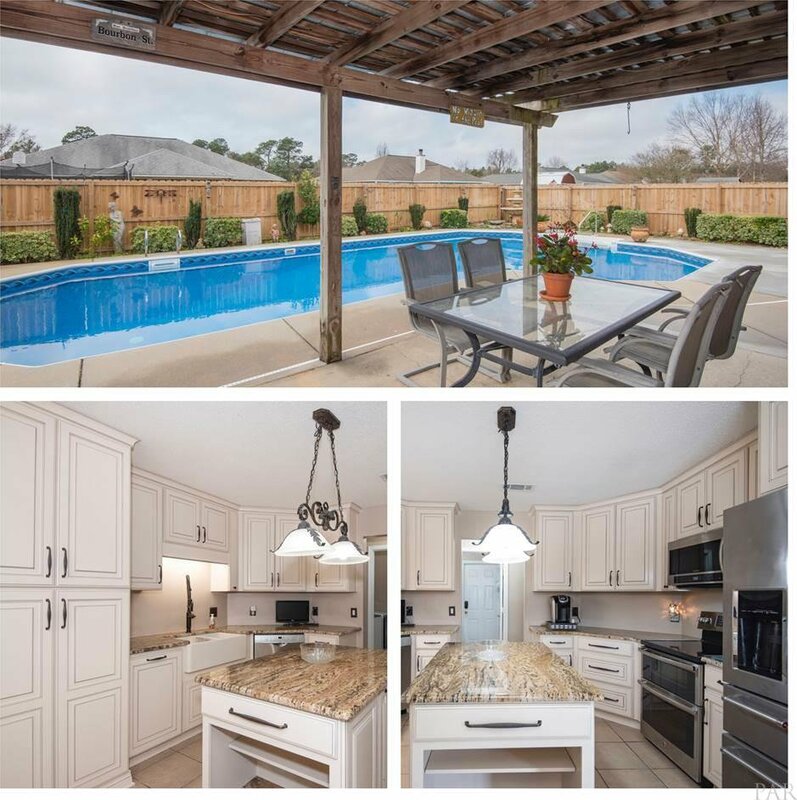 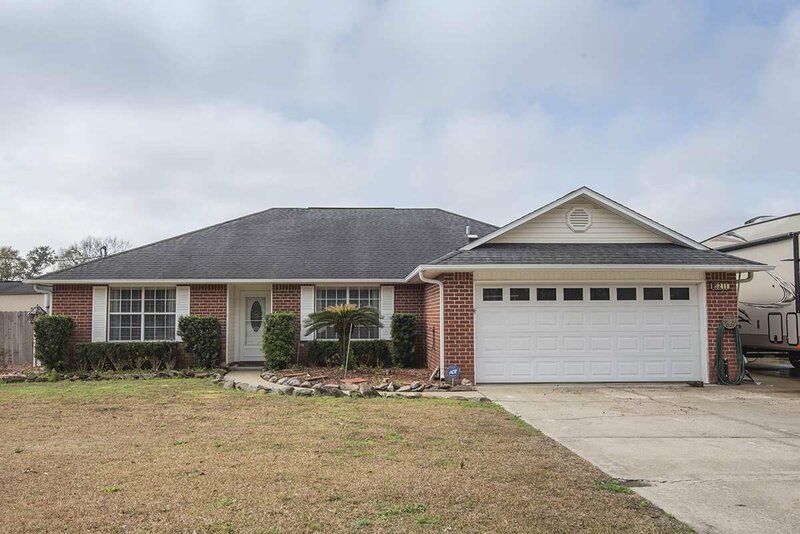 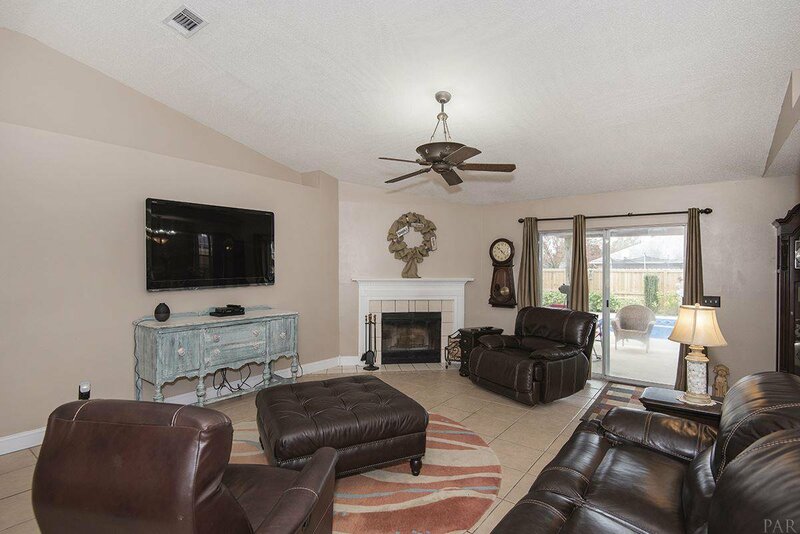 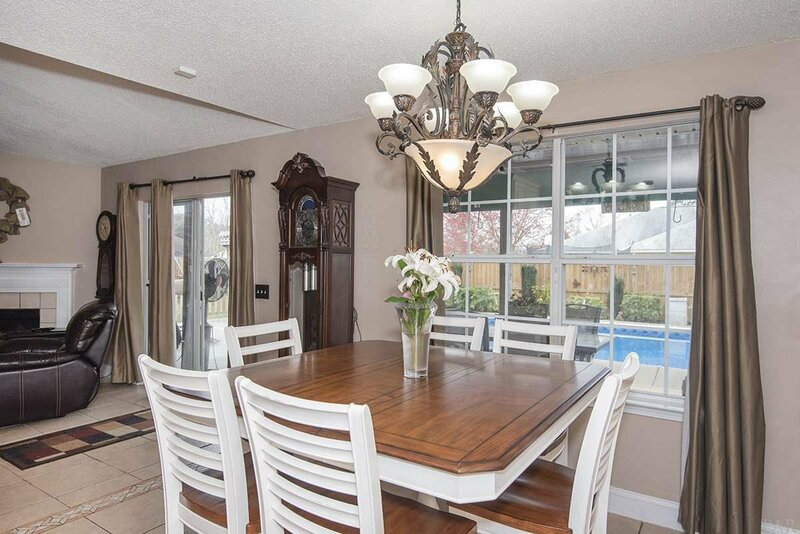 Lets also not forget that this home is in the PACE A rated school district and minutes from all your favorites such as Starbucks, Lowes, TJMAxx, Chilis, Target , Publix and more. 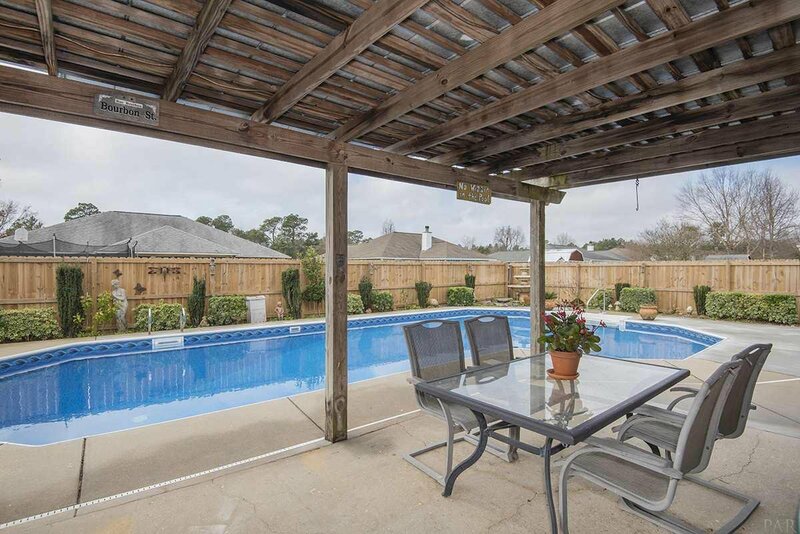 This home packs a powerful punch in terms of what you get for under $200K. 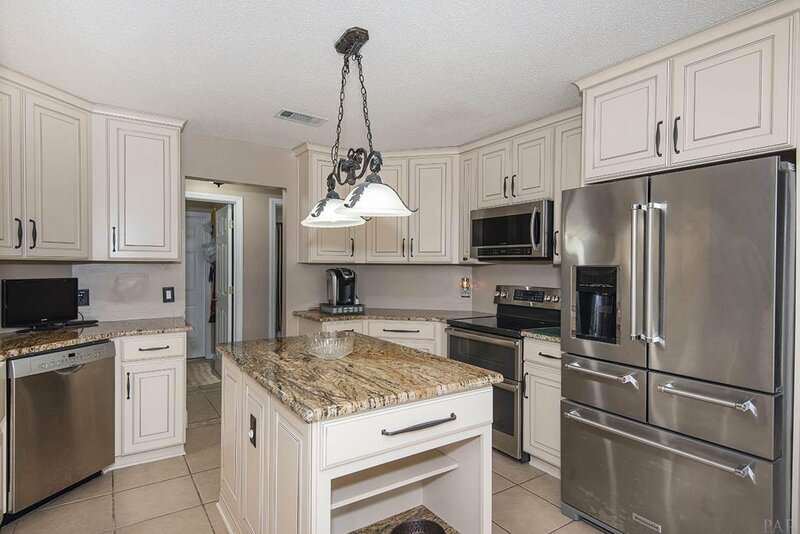 Seller states that the kitchen alone is upwards of $40K investment. 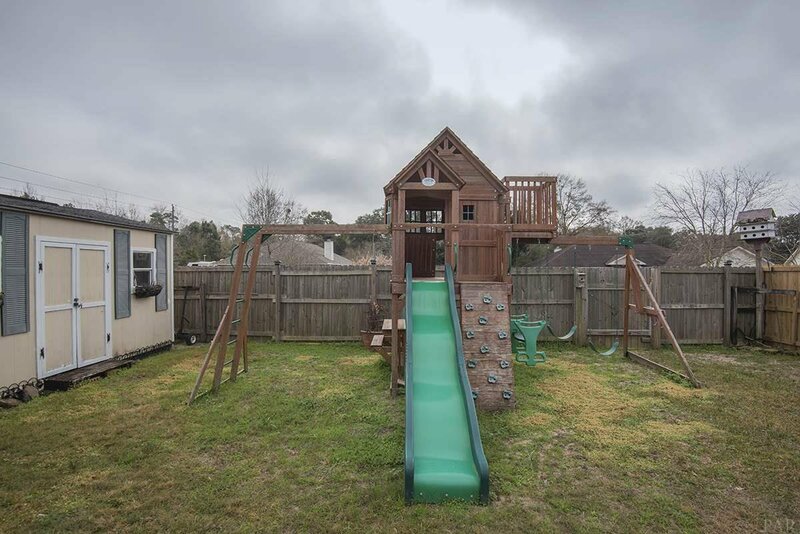 Call today before it slips away.